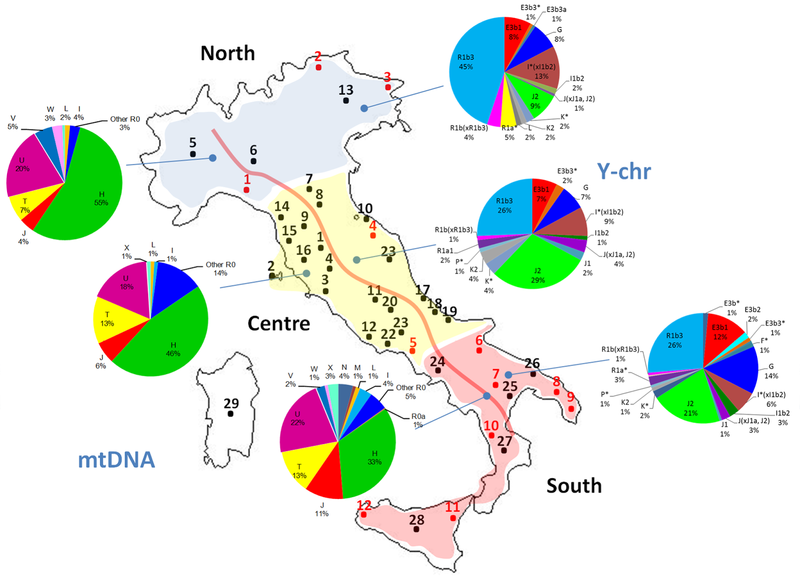 More than a year ago I commented (as much as I could) on the study of Italian haploid genetics by Francesca Brisighelli et al. 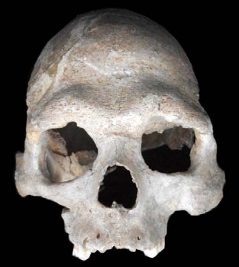 Sadly the study was published with several major errors in the figures, making it impossible to get anything straight. I know directly from the lead author that the team has been trying since then to get the paper corrected but this correction was once and again delayed by apparent inefficiency of PLoS ONE’s management, much to their frustration. Finally this week the correction has been published and the figures corrected. Notice please that you have to read the formal correction in order to access the new figures, the wrong ones are still in the paper as such. Figure 1 (corrected). 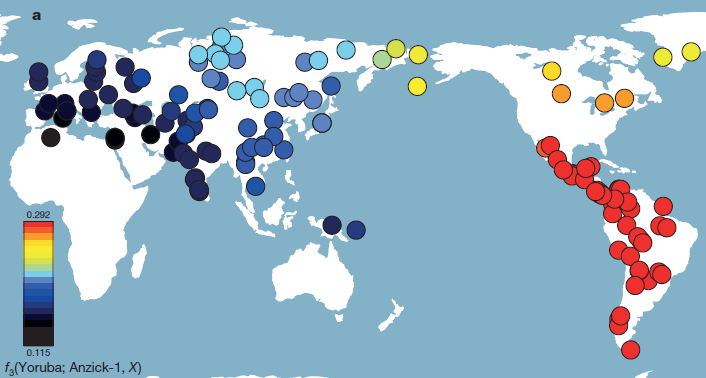 Map showing the location of the samples analyzed in the present study and those collected from the literature (see Table 1). 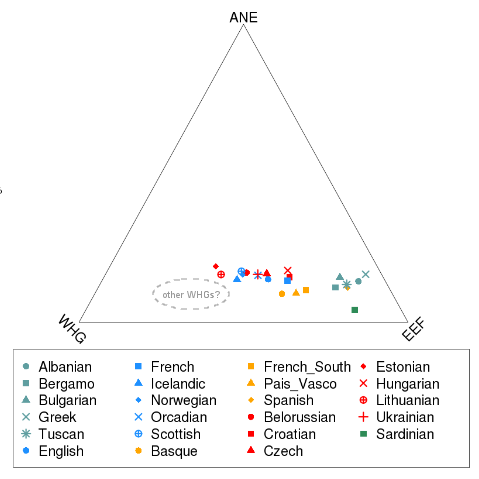 So now we know that the Northern mtDNA pie was duplicated in the original graph and that Central Italians are outstanding in R0(xH,V), which reaches 14% (probably most HV*), while they have some other peculiarities relative to their neighbors from North and South: some less U and no detected V.
Other variations are more clinal: H decreases from North to South while J and T do the opposite. Figure 3 (corrected). 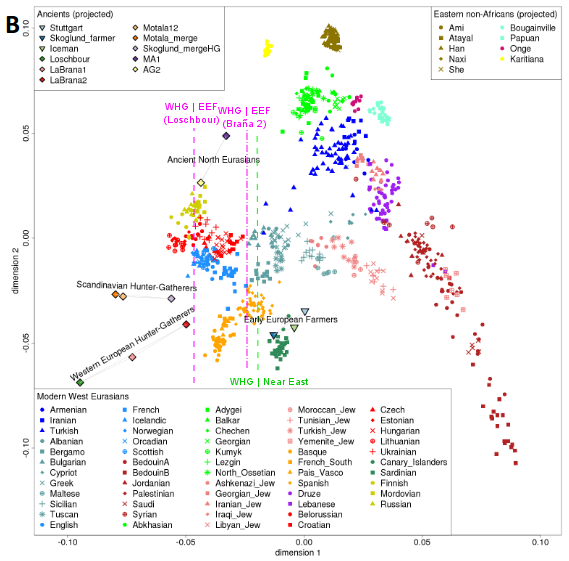 Phylogeny of Y-chromosome SNPs and haplogroup frequencies in different Italian populations. 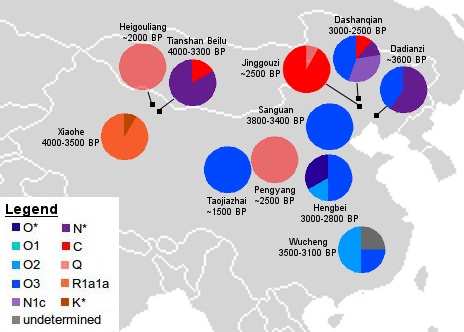 J2 is notorious in the Central region (and also the South) but rare in the North. G frequencies in the South are double than those of Center and North. 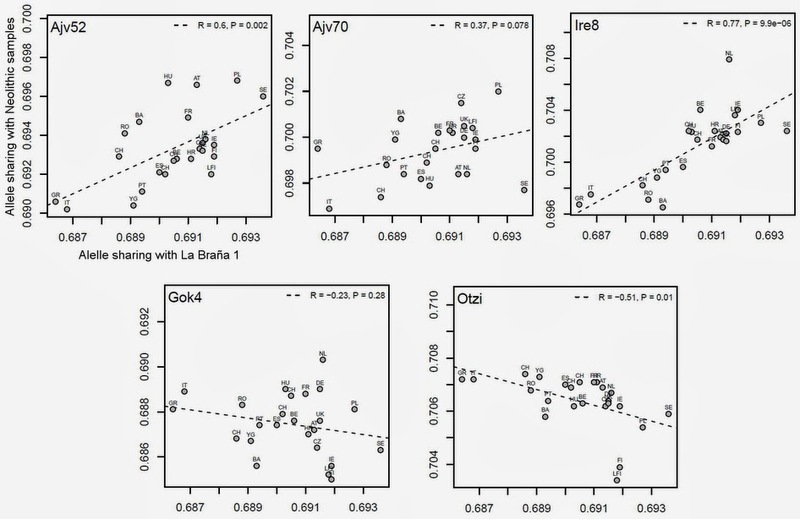 The same happens with lesser intensity regarding E1b1b1-M35 (E3b in the study). 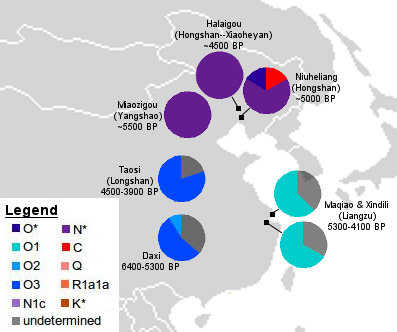 In contrast haplogroup I is most common in the North. However the Sardinian and sub-Pyrenean clade I2a1a-M26 (I1b2 in the paper), which is also the one documented in Chalcolithic Languedoc, is rare in all regions. analyzed in the present study. 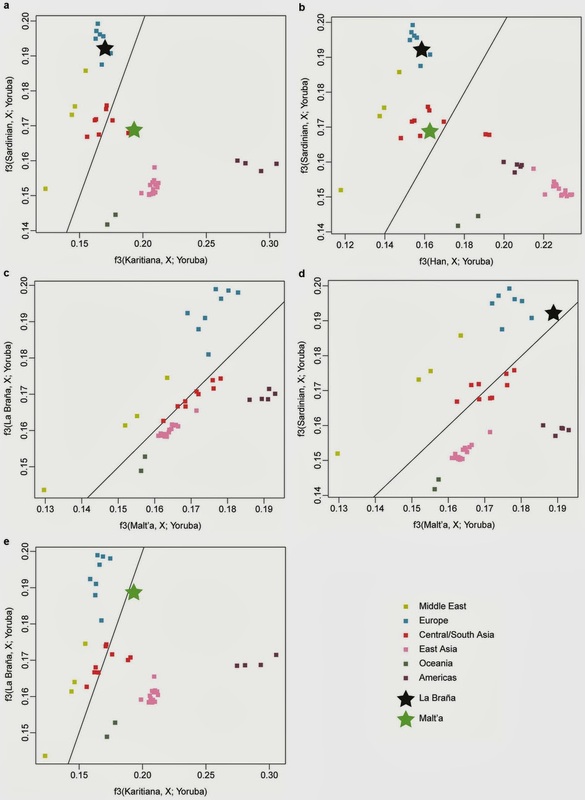 All them show large frequencies of mtDNA H relative to their regions. 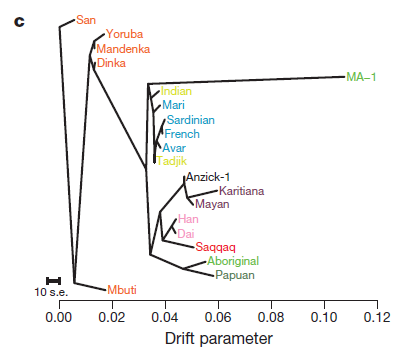 The Grecani Salentini do have some extra Y-DNA E1b1b1 (E3b) and J2, what may indeed underline their partial Greek origins. The Ladini show unusually high frequencies of R1b*(xR1b1a2) and K*(xR1a,R1b,L,T,N3), while the Lucerans are outstanding in their percentage of G.
I want to end this entry with a much needed scolding to the staff of PLoS ONE for their totally unacceptable original sloppiness and delay in the correction. And my personal thanks and appreciation to Francesca Brisighelli for her indefatigable persistence and enthusiasm for her work, which is no doubt of great interest. Positive selection (or directional selection) happens when a variant gets so good that everything else becomes bad by comparison. This may be just because an environmental change, possibly caused by migration (or whatever other reason) substantially alters the rules of the game. Much more rarely a novel mutation (or accumulation of several of them) may happen to generate a phenotype that is much more fit even for pre-existent conditions. As I understand it, positive selection does happen only rarely (but spectacularly). An example in humans is the selection of whiter skin shades in latitudes far away from the tropics (because of the “photosynthesis” of vitamin D in the skin, crucial for early brain development), another more generalized one is the selection for improved brains (not necessarily just bigger), able to face changing conditions more dynamically and develop more efficient tools and weapons. Purifying selection (or negative selection) is quite different and surely much more common. As novel mutations arise randomly, in at least many cases, the vast majority I dare say, they happen to be harmful for a previously well-tuned genotype (and its derived phenotype). As result, the carriers have decreased opportunities for reproduction, when they don’t just die right away. Natural selection acts mostly this way and in many cases the types can become very stable for this reason, as happens with genera that have been successful on this planet since long before humankind arose, such as sharks or crocodiles. This last is what seems to be happening to the human Y chromosome: novel mutations are at least quite often harmful (maybe they cause sterility or whatever other traits in the male that cause decreased reproductive efficiency) and they are regularly pruned off the tree by natural selection. 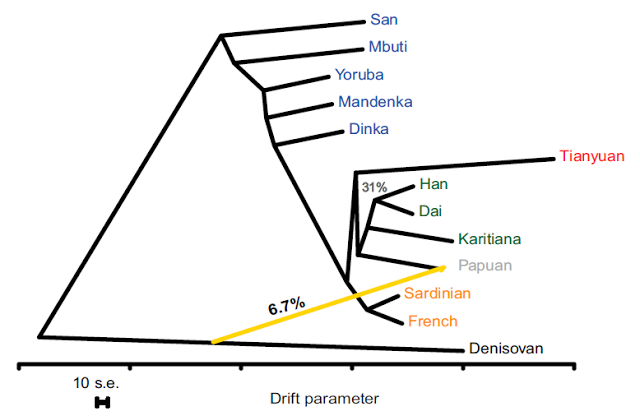 … if purifying selection is the dominant force on the Y chromosome, the topology of the tree should remain intact, but the coalescent times are expected to be reduced. That would be, I understand, because the observed mutation rate has little relation with the actual accumulated (effective) mutation rate, which is much slower because of the continuous pruning of the negative selection. Purifying selection has also been observed in the mitochondrial DNA, having the same kind of slowing impact on the “molecular clock”.